We have already talked about several Frameworks when designing and building a web page to have our online presence whether to have a portfolio, a personal blog or a presentation page of our company. Today, we will talk about Angular frameworks used frequently, nowadays, for both web responses and mobile hybrid apps. Angular uses the MVVM pattern (model view viewmodel), which is based on separating the logic of the design but having both parts linked (data binding) so that the “view-model”, which contains the logic, he never knows what is happening in the “view”, which contains the visual part. In fact we should be able to take a view-model that performs a concrete action or take it to another project that we need the same and keep working, even having changed the whole design, simply linking both parts again. Being an AngularJS Development Company we have figured out that if we only want to do something static we will not need this framework. But now, if what we want is, for example, create a control panel to manage a list of customers who buy us in our store to make digital loyalty cards therefore which is also dynamic so it is more interesting to go into this. It would take several posts to be able to talk about all the virtues of AngularJS. Of course: it is modern technology that is constantly evolving and updating with which we can make good web services by building interesting and useful software server connection for recovery and management of data, modification of the DOM without having to remove the HTML file and the MVVM pattern in an extreme way. 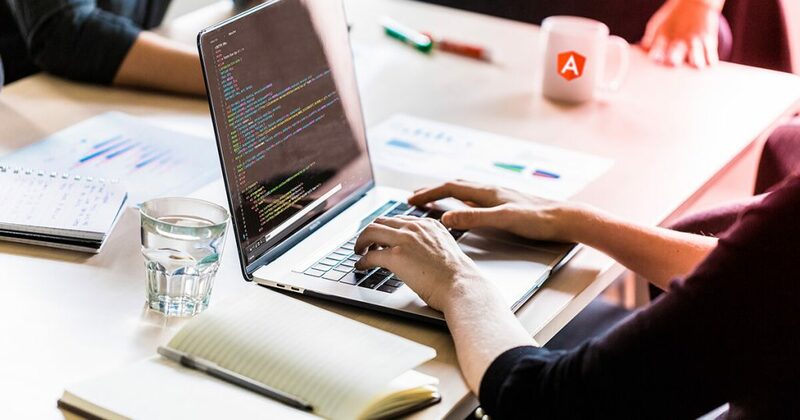 This may sound a bit like Chinese to you right now, but they are answers that, if you want to be front-end developers then you need to master along with HTML and CSS with the help of other frameworks. Ionic is an Open Source framework for the development of hybrid mobile applications based on Cordova and Angular. About a year after the launch of the project, Ionic 2 has been released in beta and is now close to the final release, following the moves of the framework on which its foundations are based: Angular 2. A hybrid mobile application is developed with Web technologies, but it runs locally within a native application and can interact with the capabilities of the device. In addition, other features such as web workers will soon be added to the framework to make it more and more performing. But why choose Ionic to develop mobile applications? The most obvious reason comes from the fact that you can use standard and widespread technologies, Web technologies precisely, to create applications that can be run on different platforms. Thanks to Cordova’s support, we can use the same codebase to generate native applications for the main mobile platforms: Android, iOS and Windows. LumX is an interesting framework for web design that combines some of the best tools for modern web design and that are part of the trends in web design for 2015, LumX can be considered as a Mashup between AngularJS and Material Design with two of the latest contributions from Google for website designers that have generated more than just noise on the Internet. Material Design is a minimalist style design guide that Google launched and that has been adopting its mobile apps and the web a little, being liked by many designers due to its simple and elegant design. LumX also offers support for SASS, one of the most important trends that all web designers should adopt and that allows to integrate the use of variables and functions to CSS files as SASS and LESS appeared to make easier the development of styles with CSS. Although it is not yet supported by web browsers, there are countless web design editors that allow compiling SASS files into CSS files easily and quickly. It joins the power of Angular and Bootstrap so you can create mobile applications using HTML5. It has essential mobile components and it seems as if it were an extension of Bootstrap for the development of mobile applications. If you are already familiar with these two frameworks, using Mobile Angular UI will not be a problem. Mobile Angular UI has no dependency on jQuery, although it uses powerful libraries like fastclick.js and overthrow.js to improve the experience on mobile devices. You can use this framework for free because it is open source. The choice of a Angular framework is not subject to the functionalities that each one can provide. It depends on the initial objectives of the company or the programmer, the requirements of the projects, how they can be applied within each case and even your personal tastes, profile and basic knowledge.